America's unique prosperity is based on its creation of a middle class. In the twentieth century, that middle class provided the workforce, the educated skills, and the demand that gave life to the world's greatest consumer economy. It was innovative and dynamic; it eclipsed old imperial systems and colonial archetypes. It gave rise to a dream: that if you worked hard and followed the rules you would prosper in America, and your children would enjoy a better life than yours. 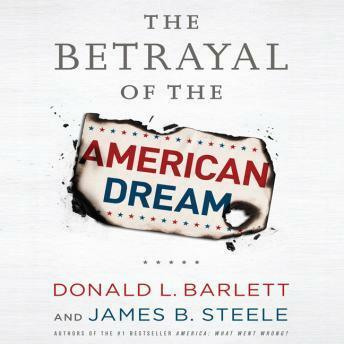 The story of how the American middle class has been systematically impoverished and its prospects thwarted in favor of a new ruling elite is at the heart of this extraordinarily timely and revealing audiobook, whose devastating findings from two of the finest investigative reporters in the country will leave you astonished and angry.